Jewellery scales are custom digital scales for weighing gold, gemstones and other precious metals in gram and carat increments. Common types of jewellery scales include pocket scales, compact balances and portable precision balances. Why does jewellery need to be weighed? Weighing jewellery is an important factor for determining its value. Commercial jewellers are required by law to weigh jewellery on a certified trade-approved scale when buying or selling products. If you are a jeweller, using an accurate scale ensures that prices for your products are in line with market price, and not being sold too cheaply. From a consumer’s point of view, if you are selling jewellery to a wholesale buyer, the value of the jewellery is based on weight and current market value. That’s why it is crucial that the weight is taken from an accurate jewellery scale. Throughout the jewellery-making process, all components must be inspected and weighed to ensure the specifications are met for the finished product. For example, if the finished product is an 18ct diamond necklace, the jeweller must weigh the diamonds, the precious metal used for the setting, and the completed product. This gives a good indication of the finished product’s value and allows the jeweller to price it properly. Therefore it is essential that diamond scales with a high degree of precision are used. Jewellery is commonly measured in carats, grams or troy ounces. One carat is equal to exactly 0.2g (200mg). Carats are commonly used for weighing gemstones including diamonds, rubies, emeralds and quartz. Troy ounces are equal to 31.1g and are heavier than a normal ounce (28.35g). 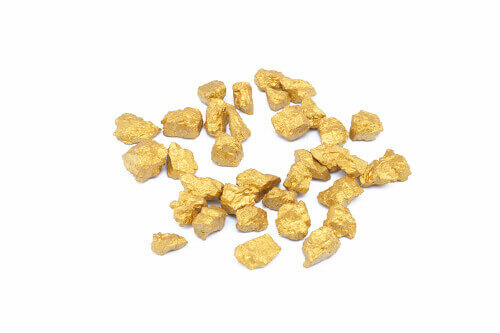 Troy ounces tend to be used for weighing gems and precious metals in bulk, such as gold and silver. A carat is a unit measurement used to weigh jewellery (for example, 1 carat is equal to 0.2g). Alternatively, a karat is used to measure the purity of gold and other precious metals. Soft metals such as gold are usually mixed with composite, harder metals such as silver or copper in order to craft jewellery. Gold purity is measured in terms of parts, with 24 karats seen as the highest level of purity. For example, if you own a gold ring consisting of 16 parts of gold and 8 parts of silver then you will have a 16 karat gold ring. Colour is a significant factor in determining the value of a jewel and is highly subject to cultural preferences and trends over time. For example, the adoption of emerald green jade (jadeite) over red jade within Eastern Asia has maintained influence through the relationship between green jade and imperial authority. More recently, the popularity of rose and white gold over traditional gold in the United Kingdom has significantly increased the value of gold variant colours. The shape or cut of a gemstone is an indication of quality and craftsmanship. Even if a jewel has perfect colour and clarity, a poorly cut gem can appear dull, decreasing the value. 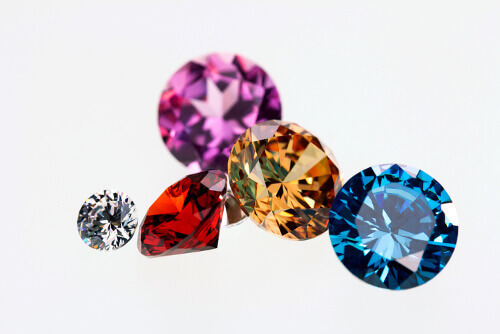 Some of the most popular types of gemstone cuts include round, princess, emerald and marquise. The popularity, size and precision of the cut can be a key marker of quality and value. The clarity of a gemstone is a true reflection of quality and craftsmanship. Clarity is graded from the best quality, FL/IF (internally flawless) down to I1-I2-I3 (imperfect). Greater clarity indicates a higher value. Alongside clarity, cut and colour, the size and weight of a gemstone is a more obvious indicator for determining the price of jewellery – the heavier or larger the jewel, the higher the perceived value (this can be considered a secondary valuation factor). Quality can be determined by the type of material your jewellery is made from, as well as the gemstone used. Gold tends to have a higher value per gram than silver, whilst quartz has a lesser value compared to diamonds, emeralds or sapphires. The popularity and cultural trends mean that materials can fluctuate in value quite regularly. Specialist devices such as gem refractometers are often used as a means of identifying gems. 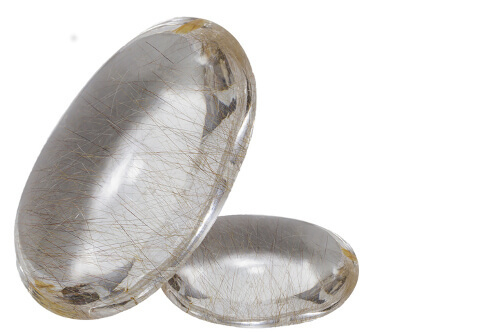 These devices can detemine the type of gem by examining the gemstones ability to bend or refract light according to a specific refraction index. To learn more about the principles of refractometry and how this is used to identify gems, please see The Measurement Shop's ultimate guide to refractometers. Ensure the pocket scale has been calibrated and cleaned (see below on how to calibrate a jewellery scale). Tare/ zero the pocket scale. Set the weighing unit to grams or carats (if your scale has carat measurement). Place the jewellery onto the weighing scale pan. Note: If you have your pocket scale set to grams and you want to determine the carat value, then divide the value by 0.2. This will provide you with the carat reading. Using a jewellery scale that has not been calibrated can lead to incorrect weighing results. Over a long period of time, this can result in significant profit loss for jewellers who are buying and selling gold, semi-precious stones and jewellery. Maintaining your balance helps ensure accurate and reliable weighing results at all times. Jewellery scales with internal calibration can be configured to perform scale calibration at certain times of the day, usually by pressing a button on the weighing machine. Jewellery scales with external calibration require the use of approved calibration weights. This is done by placing each weight individually onto the weighing pan and adjusting the value on the display until it matches the calibration weight. Choosing the best jewellery scale for your needs can be difficult. It is important to consider how you intend to use your scale, as well as the weighing capacity, pan size and readability you are going to need. For example, if you work on the move, a compact digital jewellery scale such as a portable scale or pocket scale may prove more useful than a precision or analytical balance. If you own a gold trading business, then you will require trade approved gold scales in order to buy or sell gold commercially. Or, if you are looking for the most precise results possible, then a reliable milligram scale such as a precision or analytical balance would be needed. EK-i compact balances are highly durable trade approved jewellery scales that are ideal for jewellers on the move. The EK-i series has a weighing capacity range from 200g to 12000g with up to 0.01g readability. Perfect gold weighing scales with built-in carat measurement that can be used to weigh anything from precious metals and loose gemstones to commercial jewellery with a high degree of precision. Highly versatile, the Highland is a compact, portable precision scale ideal for weighing all types of jewellery from gold and silver necklaces, bracelets and earrings to loose diamonds and gemstones. The Highland approved is a trade approved jewellery scale that can be used for buying and selling gold and semi-precious metals commercially. The Highland also includes percentage and parts counting features for counting jewellery in large amounts. Favoured by jeweller's, the Kern CM pocket scale is a perfect portable scale for jewellery weighing. Convenient, versatile and easy to use, our digital pocket scale can be used for weighing small amounts of jewellery, including gold chains, necklaces and loose semi-precious stones. An alternative to the CM pocket scale, Kern's TCB features a compact circular design with a small 80mm diameter weighing pan that is ideal for weighing small un-cut gems and precious metals. Unique to TCB models, the scale's platform can be rotated to protect the scale from overload damage. This pocket scale is delivered in a transparent plastic case, which protects the scale against liquids, accidental damage and dirt build up at all times.